Alta Esquina, s/n, Calle Pineda urb. Torrenova, 07181 Palmanova, Spanje. The Honolulu sits on the hill dividing Palma Nova and Magaluf, with spectacular views across the bay. Relax by the pool, join in the activities, have a drink with friends on the terrace, or take a stroll down into the centre of lively Palma Nova. Ideal for families or groups of young people. Lots of enterteinment and activities. 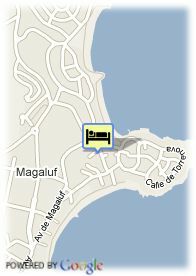 Not reccomended for people with walking difficulties.The hotel informs that pets are not admited.